Residents of Johnsonville and pipeline communities are celebrating the pavement of the Johnsonville/Pipeline road, something they say is welcoming and long overdue. The Ministry of Public Works headed by Minister Mobutu Nyepan begin Asphalt pavement of the Johnsonville/Pipeline road over the weekend with many residents carefully observing the process. 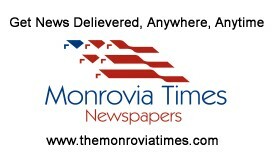 Some of the residents who spoke with The Monrovia Times applauded the government of President Weah for its efforts in seeing to it that feeder roads in and around Monrovia are paved. The residents said the pavement of the road will alleviate traffic congestion and create ease of movement in and around the Johnsonville/Pipeline community.